why should you choose Malgo? the dress will be altered in a way to keep its original design unless you request otherwise. my studio until it's completed to your satisfaction. Unlike the clothes we normally wear, much more time and detailed tailoring goes into a gown. The number of fittings depend on the alterations required. Your dress may just need hemming, or extensive alterations involving side and bust seams, replacing zipper and more. Please schedule your first appointment at least 3-6 months in advance. Your first fitting should be at least two months before your wedding. Allow 2-3 weeks between each fitting. The more alterations on your dress needs, and the more complex is your dress, the more fittings you will need. a final fitting when the hem is finished, the bustle is being created at that time. Dressigner offers bridal undergarments to its clients. You will be advised at your consultation what kind will be the best fit for your dress. In some cases you won't need to be wearing any bras or petticoats with your dress. Sometimes only bra cup inserts will be just enough. It's essential to bring your shoes and the same best fitting undergarments to each of your fittings, the same ones you plan to wear for your special day. Foundation garments can make a difference of up to 2 inches in the hemline or waist and also show if dress will be too revealing in any area. I offer professional highest quality service and at the same time my prices are very affordable. I am unable to estimate the price of your dress alterations until I examine its inner construction in person. The design of the dress may be very simple or more complex, therefore the costs will vary. If your dress has several layers of hem, lace trim, pleats, ruffles, appliques or beads at altered seams, the cost of alterations will be greater. If the dress needs to be taken in or out two or more sizes the cost of altertions will be greater as well. Longer trains will need more points to be bustled, therefore they will cost more. The designer label doesn't matter in quoting the price of alterations. It's determined by multiplying the time needed for making alterations by hourly rate. The price range for bridal gown alterations is $300 -$750. I hear often from my clients that my prices are great. If your alterations have to be done in less than 2 months, a 50% rush fee will be applied. During your consultation you will receive a qoute and we will sign a Work Agreement. It will list all the alterations in detail and the total balance, which will not change unless you request addtional sevices which were not specified in the document. A 50% deposit is required before any work on your gown begins. Consultations and estimates are $35 for up to 1hour, if you choose for me to perform the alterations the estimate fee won't be added to your invoice. is it possible to size up a dress? Altering a dress to a larger size may be possible. If the garment has enough seam allowances they can be let out, adding up to two inches to its circumference. If the dress has to be sized up more than one size, restyling such as adding panels or lacings may be needed. It may not always give satisfactory aesthetic results and it may be difficult to match the fabric. The cost of restyling may be very high, because it usually requires plenty of work/time. Avoid purchasing dress which is too small. is it possible to alter a dress bigger than two sizes? This is also a very complicated, time consuming and costly alteration. It involves taking apart almost every seam and reconstructing the entire dress. For some designs this may not be possible. Restyling by changing the garment's original design may be required on order to attain a more pleasing result. I would advise to consult the store alterationist before or not buying a dress two or more sizes larger. why the bridal shop ordered a dress which is too large for me? Your bridal shop's sales person takes your measurements in order to determin your size by a manufacturer's chart. He or she orders your dress according to the largest measurement. They know that it will always be easier to take the seams in then let them out. So your dress might fit at one part of your body and be too loose at another. Second reason: your dress gets cut in a factory on a very large table in stasks of dozens of fabric layers at one time with a big electric or laser knife, This way the layers may slightly vary in sizes, therefore the dresses constructed out of those pieces of fabrics may have a slightly differ in measurements. And also: one seamstress will stitch for seams to be 3/8" wide and another seamstress will stitch another dress for the seams to be 1/2". And if we have 6 seams in the bodice, that gives us 3/4" difference in the circumference. will my dress fit perfectly after alterations? Your seamstress will do everything in her power to achieve that kind of result, but... It very much depends on the construction of your dress as well as your figure. It's difficult to access the seams of an already made dress. If it's design is complex, with lace overlay, beads, appliqes, some of the seams may even not be accesible or it may be to risky to do so. Usually the side seams are the most accesible, but sometimes in ordere to make your gown fit changing other seams mey be involved. Women have several types of bodies. 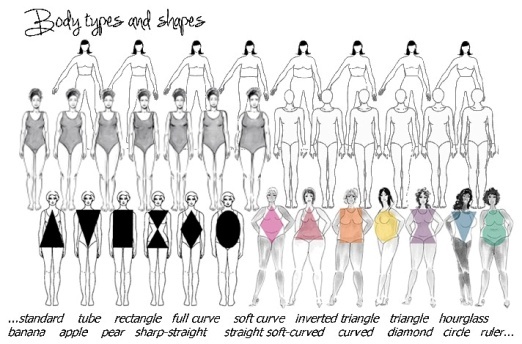 Your body proportions also take a great part in determining the alterations. They may be distant from standard body measurements which your manufactured dress was designed for. For examole, if you have a very large chest comparing to your waist and hips, your alterations may get more difficult. If you have a very small chest and whider hips it will be the similar challenge. Same thing with full waist, very small waist etc... Perfect fit may not be guaranteed is such cases. what should I do if I have a wedding dress disaster? First of all it might be unnecessary to panic. Your problem can most likely be solved. Don't allow the stress to take over. Try to be calm and communicate with your seamstress in trying to find a solution. If she doesn't have the skills to fix the error, find a dressmaker who has the skills to make dresses from stratch. She should be able to fix any issue. Your dress is made out of several layers and parts. A part of your dress may be replaced, reconstructed or the entire dress may even be reproducted by her. She may be able to match the fabric or a bridal shop may be able to order the designer fabricfor you, the same which was used to make your dress (lace or appliques). It will be a difficult task for her and sometimes some restyling may be needed. She may be able to fix your dress just in a few weeks or even days depending on how busy she is at the time. why bridal alterations seams to be expensive? Alteraions seem to be expensive to many of you comparing to what you are paying for your dresses. Most of the gowns are producted in hundreeds and thousands of pieces in overseas factories. Your alterations are performend locally. The price of your alterations includes your seamstress US hourly labor, US business taxes and expenses. Some seams, laces, beads or appliques have to be applied by handstitching and that is very time consuming. Bridal alterations take from 8-45 hours of work including the fittings. Wedding gowns are also the most complex garments and alterations can sometimes be more difficult than even constructing a dress from scratch. how to save money on alterations? 1. Buy a dress that is not larger than one size in the chest and the waist. Never buy dress which is too small, because it may not have anough seam allowances to be let out. 2. Buy a dress that is easy to hem: the lace applique on the bottom can be removed and reaplied. Hemming the dress from the waist is always more complex and much more expensive. 3. Shorter trains need less points to be bustled, therefore the cost of a bustle will be cheaper. 5. Alterations on lace dresses is more time consuming. 6. Beaded dresses will also cost more to be altered. 7. Dresses with long sleeves usually need more alterations. 8. Do not buy any bridal undergarments unless your seamstress will tell you that they are necessary. Many corset strapless gowns have a built-in corset and have anough support to be worn with just a bra cups sewn in. 9. Do not buy a dress if you are thinking of any restyling. Restyling is much more time consuming than any alterations. 10. Silk dresses are also more diffilt to work with and the alterations will cost more. Silk fabric might shrink after pressing or steaming. how to have a stressfree bridal alterations? 1. You should always START your alterations EARLY, never wait until very close to your wedding. Book your first appointment 5-6 months before the wedding. Request for your dress to be finished at least a month before the wedding. It's perfectly OK to say that your wedding date is earlier. It won't hurt anyone. 2. Find a seamstres you will TRUST. If you are not sure about a place or a person who will be working on your dress, simply don't do business there, keep searching. 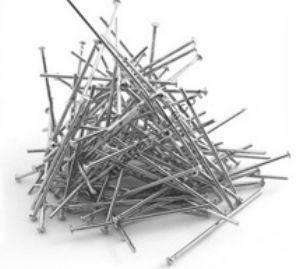 Trust is cruicial. It really heips in communicating an avoinding a lot of unnecessary stress. 3. BEST try to get your dress altered between October and March. Your seamstress will be less busy and you wil get more of her attention and a better service. April to September is always very busy for all bridal businesses. 4. 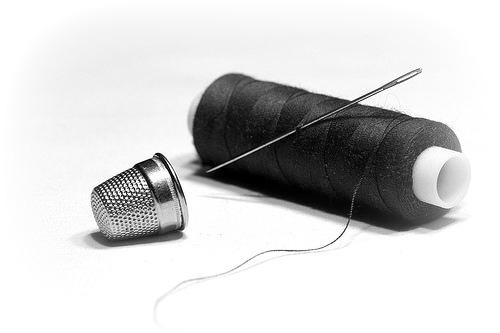 COMMUNICATE with your seamstress. Present your preferences to her and ask plenty of questions. Also listen to all her professional advice. She alters dosens if not hundreds of dresses each year and most likely she has a great skills and a big knowledge about it. Tell her all of your concearns, even if they accure later during the process. Good communication can heip to avoid a lot of stress on both sides. 5. Consider her ADVICE on a best fitting undergarments for your dress. Always bring them to all the fittings. You can even leave them and your shoes at her studio. 6. NEVER CHANGE any UNDERGARMENTS such body shapewear and lonline bras during the entire alterations process. They can affect the measurements of your dress which may result in changing the fit of your dress and additional alterations. Never change your shoe hill hight after your dress is hemmed. 7. SHOW UP to all of your fitting appointments so your seamstress will be able finish your dress on time. Call in advance if you need to reschedule, she will be grateful to you for respecting her time. 8. NEVER RUSH your seamstress with your alterations, the more time she spends working on your dress, the better results she will be able to give you. And remember, the more fittings, the least chance for any errors. Your seamstress should do a ane fitting for each alteration: one for bodice, one for hem and one for bustle. 9. Prepare to be FLEXIBLE and understanding. If she reschedules your appointment, i't doesn't mean that your dress won't be finished on time. It is very possible that after opening the seams of your dress, she found out your dress will need more work than she predicted. She sometimes does a last minute or emergency alterations for another bride. 10. NEVER go on a DIET months before your wedding . Try to avoid loosing or gaining any waight during the alteration process. This will result in a last minute alterations, additional costs to you, plenty of stress for both parts and the risk of having a "wedding dress disaster" is great. Your seamstress might also be too busy to make any last minute changes.